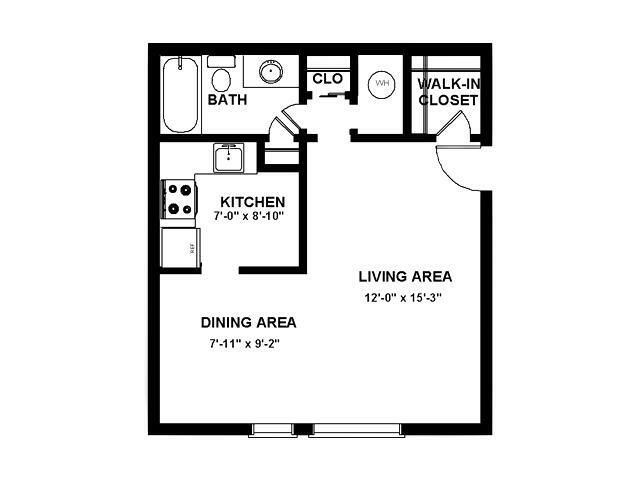 Our Studio apartments offer a large open floor plan so you can design a space to meet your needs. 12 Month Lease Term for our Deptford, NJ, apartments. Stonybrook Apartments allows up to 2 pets per apartment. Each pet may not exceed 35lbs(full grown).There is a $300 non refundable deposit along with a $30 monthly per pet fee. Pet Restrictions: The following breed restrictions and or a combination of breeds deemed dangerous in the future are also not allowed on the property: American Pit Bull Terrier, American Bulldog, Doberman Pinscher, Rottweiler, German Shepard, Tosa Inu, American Staffordshire Terrier, Bull Terrier, Mastiff, Bull Mastiff, Presa Canario, Siberian Husky, Dalmatian, Malamute, Wolf-dog Hybrid, Akita, Chow-Chow. Please note that breeds mixed with any of the above breeds are restricted in Viking Residential Communities. We accept dogs and cats.